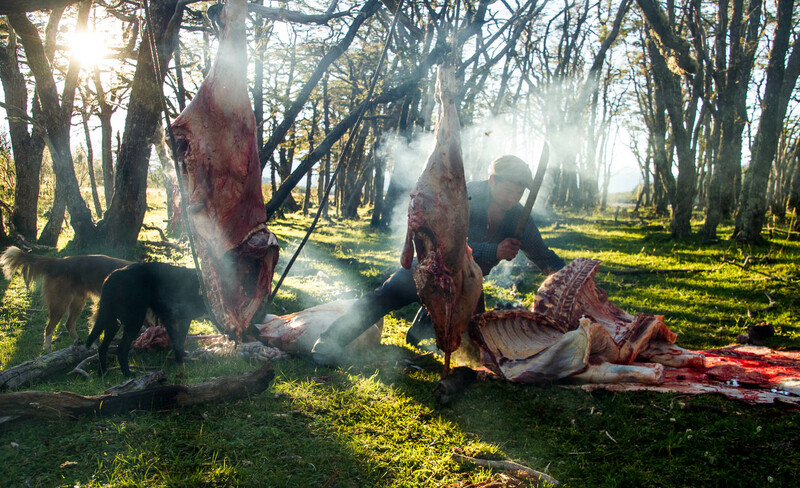 In Patagonia, it is sometimes necessary to butcher cattle on the spot. The difficult terrain makes it a challenge to gather all the cattle every year for market; inevitably, some remain behind. These "mavericks" become quite wild and impossible to herd. The most humane solution is butcher the animal and pack the meat out, thereby providing sustenance and life to the ranch hands and the working dogs.